Every minute and every hour of the day, there’s a truck rolling along the highway on its way to deliver the goods in its truck. Have you ever found yourself in need of a big shipper for something like a car or a statue? 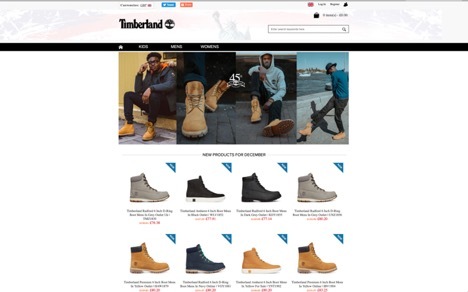 Did you know that there are numerous online sites that let you add your item to their list and watch as others bid to be the ones to ship it for you? This list is filled with ways to find great shippers and amazing deals. Shipping a car through a company like FedEx would be very expensive but if you pick the right person on one of these online shipping websites, you can save hundreds of dollars. uShip is one of the best delivery bidding sites in North America. This is also the same site that’s featured in the popular television series called Shipping Wars. If you’ve seen this show, you already know how the process works. You bid, you deliver, and if everything’s intact and you give great service, you’ll get a good rating. This rating system isn’t just part of the show, everyone that ships with uBid will get ranked. 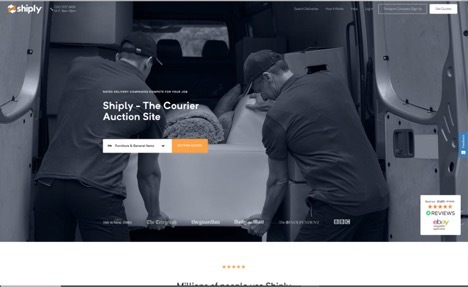 This lets the future buyers know just how great of a shipper that you really are because the people who get the last bid on uShip aren’t always professional drivers. All it takes is the right size vehicle to tug the load and the wiliness to drive cross country on a deadline. The prices are very affordable on this site but if you want more options, check out our list of companies like uShip below. There’s bound to be one that has the shipper made for you. 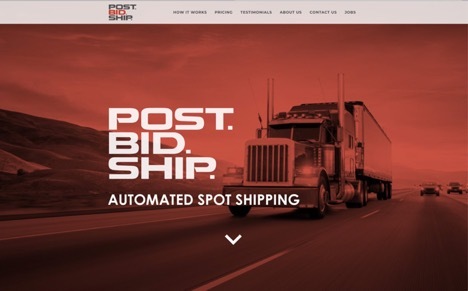 The first addition to our list of shipping websites like uShip has to be Post Bid Ship. Post Bid Ship is the revolutionary new way to ship in the 21stcentury. This site makes it easy for both the sender and shipper to negotiate a fair price before a deal is made. Post Bid Ship is great for small loads and huge loads that need commercial freights. Create your free profile on Post Bid Ship now to start shipping or bidding right away. This delivery website called Shiply is a great alternative to uShip. Shiply lets you start off by adding an estimated size and weight of your item to get a free quote online. This quote can tell you how much to expect during the bids. The final cost can be much higher or much lower than your budget. Don’t forget to add a stop price so that you don’t end getting the small end of the stick after delivery. 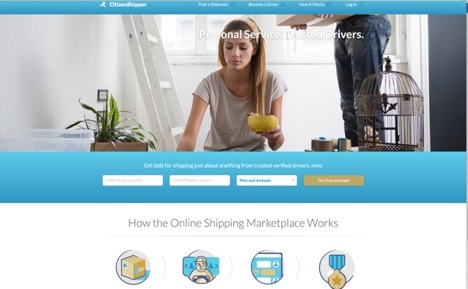 CitizenShipper is a peer to peer marketplace for delivery men and women who want to help ordinary folk with their troublesome items that need a bigger vehicle than a standard car. On this site, you will find bids like the other sites mentioned above but you can also find things like movers, ways to become a driver, a list of the best drivers at the moment, and more. CitizenShipper lets you track your shipments and it explains all the terms and lets you ask questions before both parties sign off on the deal. Our list of sites like uShip needs to include AnyVan. 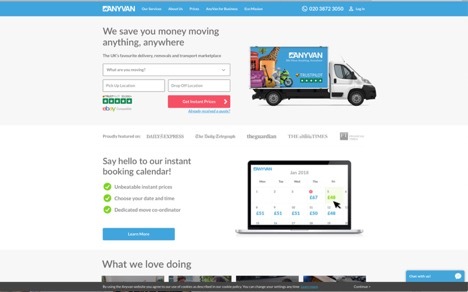 AnyVan lets you move anything, anywhere and with each delivery, you will be given a free quote before given the chance to publish your item online. You can ship something small like a box of bees or an old broken down ice cream truck if that’s what you want. Take a picture of your item, add a short description of the sizes and approximate weight and sit back until the bids come in. No deal is final until both parties have agreed on the rules and regulations. Shipperoo is great for anyone that needs to ship something in a small or huge truck. On this site, you can create a profile and share it with the drivers who are looking for work. Shipperoo is very easy to use and there’s always someone who’s willing to come over for the pickup. On this site, you will also find tips and tricks if you’re new in the shipping world and you can browse the shipping auctions just for fun. Take a look to see a ton of cool and strange things that you wouldn’t expect to find on Shipperoo. This online auction site for drivers specializes in things like heavy equipment, oil and gas equipment, drilling tools, asphalt and concrete, buses, agricultural machines, and more of the genre. If you have a huge load that needs to be shipped, add it to this site now and watch as the bidding war begins to delivery your item for you. One of the best things about RBAuctions is that this online bidding website doesn’t require any form of payment until 120 days after delivery. Imoveit is the last online shipping marketplace on our list, but it’s not the least. 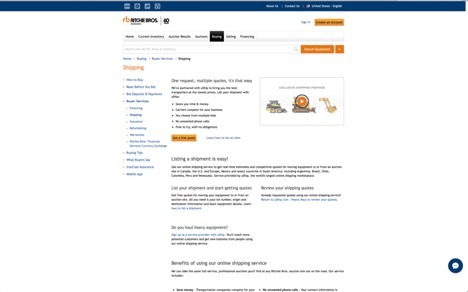 This site can save you a fortune if you have something large and heavy to ship. Imoveit connects drivers and shippers and each connection comes with a no obligation guaranteed and no fees. On this delivery auction site, you will find a wide selection of amateur and experienced drivers who are just looking for the next load to get home. See who’s available as you search for the right person to deliver your goods. Added trust can be earned just by using the same person more than once. Keep your shipper in mind if you plan on using him or her again in the future.